Have you ever wondered how to make your own pasta? Many of us would love to recreate the silky strands of tagliatelle or extra thin ravioli we find in good Italian restaurants, but find that when it comes to it, we’re a bit intimidated by the process or by all the equipment that seems to be necessary. But never fear!! With the right instructions you can make the greatest pasta in the world! So, we’ve asked our chefs in Italy to help us provide the Flavours guide to making authentic pasta. We are going to tell you everything that you really need to know to make fresh pasta ‘fatta a casa’ that will be the talking point of your dinner parties! 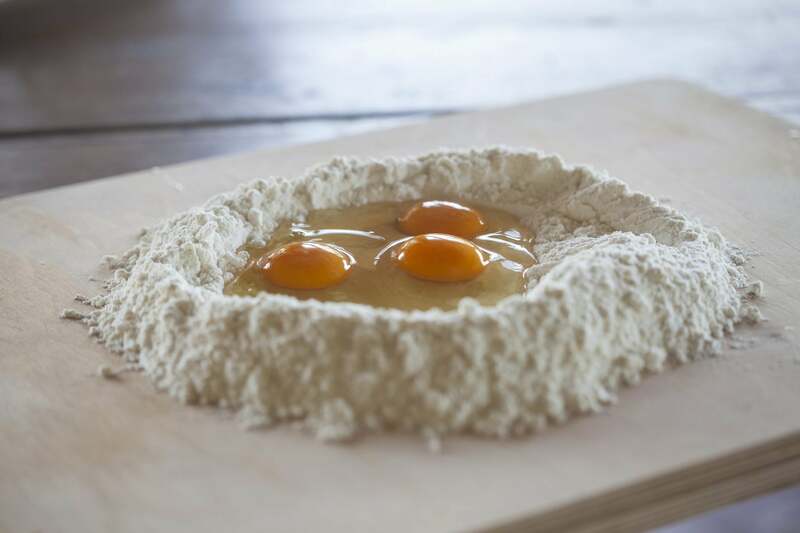 The ingredients for fresh pasta really couldn’t be more simple: all you need is flour and eggs! That said, the quality and freshness of these ingredients is key to good quality pasta. The best flour to use for pasta dough is the traditional Italian ‘Type 00’ flour, which is easily available at most large supermarkets. Next, the eggs. The general rule with these is the fresher, the better. 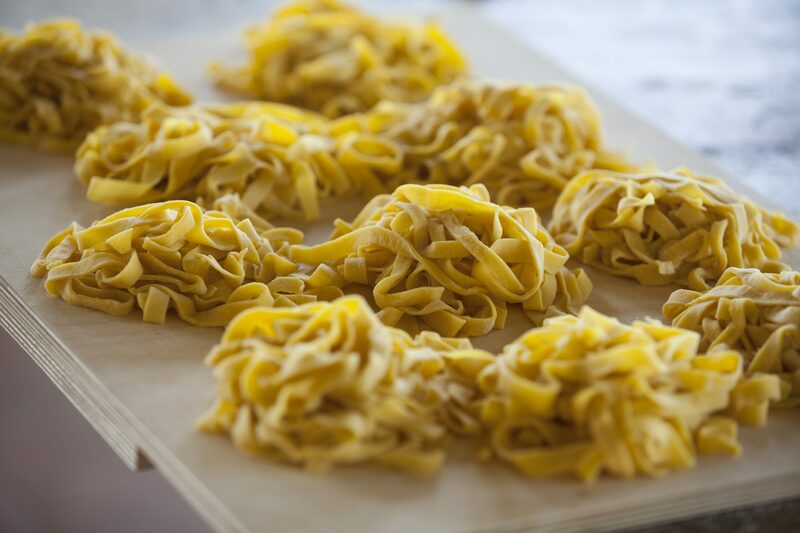 Choosing free range eggs (ideally from a local supplier so you can guarantee the freshness) will ensure that you end up with a lovely golden pasta dough. As with so many Italian recipes, the ingredients for pasta vary from region to region. Some include a sprinkling of salt and a glug of olive oil in their dough – have a look around for a couple of different recipes, and experiment until you find what works best for you! Many people choose to use a pasta roller when making their own pasta – they range in price, but it’s easy to find very affordable ones. They’ll certainly save you a good amount of elbow grease, and will allow you to produce long, straight sheets of pasta that any professional would be proud of. They also tend to come with separate settings to cut your Tagliatelle or Fettuccine into uniform strands. However they can be quite a handful to manage on your own to begin with – maybe a job for two! If you’re looking to channel your inner Italian Mamma, why not have a go the old fashioned way? Most Italians making fresh pasta at home wouldn’t even entertain the idea of having a pasta roller in the house – give them a trusty old rolling pin and a bit of counter top and they’re ready to go. 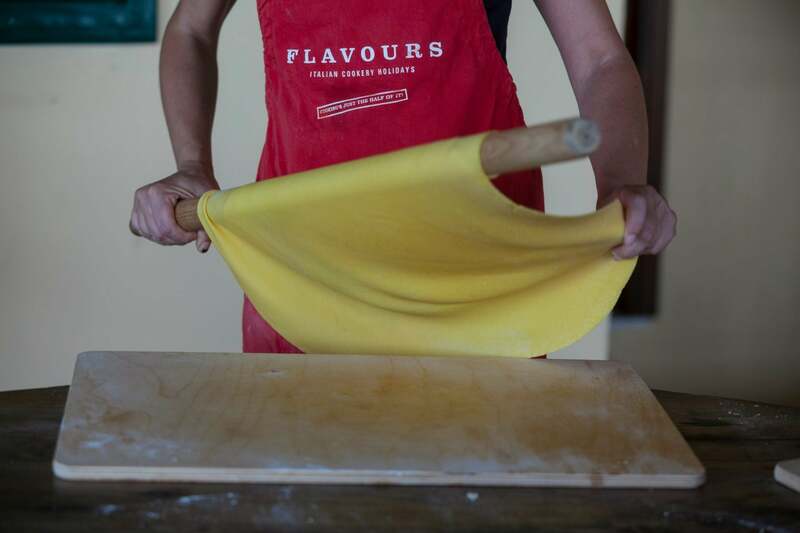 The key here is to have quite a long rolling pin, and to be prepared to put a bit of work into your pasta. Using smaller amounts of pasta dough at a time will help you make the sheets as thing as possible. To cut your pasta into strips of tagliatelle, roll up your pasta sheet into a Swiss roll formation, and lightly cut into slices. It’s as simple as that! 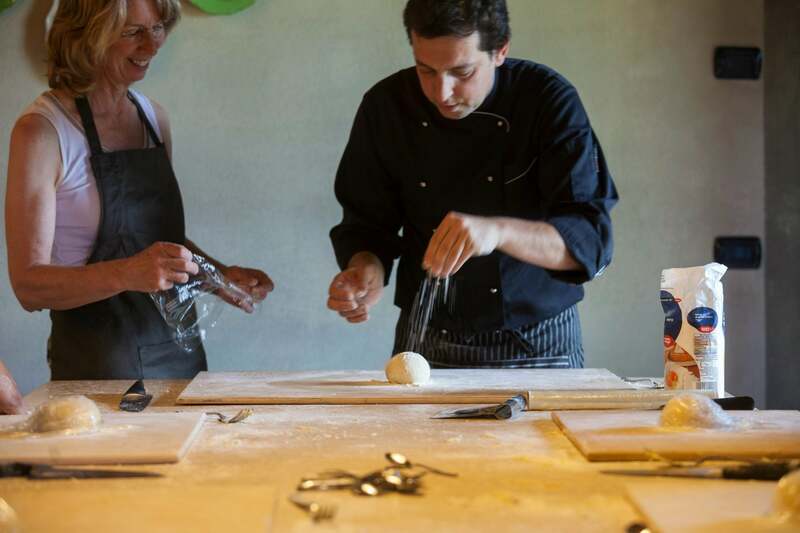 You’ll find on our cookery holidays that our chefs almost always teach this method to our guests – there’s nothing better than learning the true Italian way.